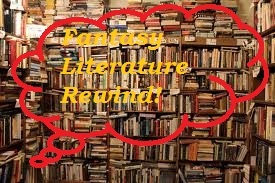 Fairy Tale Fandom: Fantasy Literature Rewind: Alice's Adventures in Wonderland. 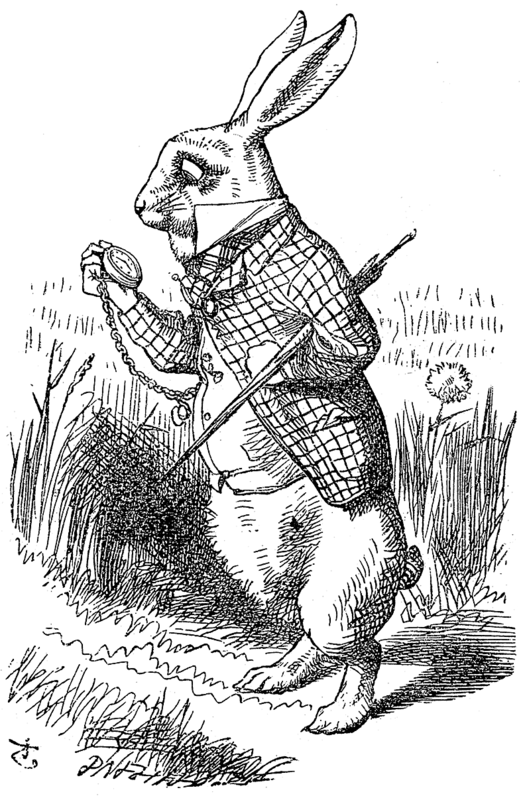 Fantasy Literature Rewind: Alice's Adventures in Wonderland. I don’t get it. I just don’t get it . . .
Oh, sorry. Much like the protagonist of the story I’m going to talk about, I was thinking out loud. Seeing as this is the year 2015 and the 150th anniversary of Alice’s Adventures in Wonderland by Lewis Carroll, I thought it would be wrong not to talk about the book at some point this year. As you may recall, I’ve already talked about Through the Looking Glass because I thought that story needed some individual attention. Now it’s Wonderland’s turn. We all know the famous tale of how Wonderland was created. Lewis Carroll and his friends the Liddell family were on a picnic near the river Isis when bored Alice Liddell asked for a story. Seemingly off the top of his head, Carroll concocted a story in which young Alice goes headfirst down a rabbit hole into an underground world full of bizarre characters. This literary legend may or may not be completely true. However, the legacy of that day has led to one of the most enduring children’s fantasy stories in all of English literature. Personally, I’m a big fan of Carroll’s work. The plot of Alice’s Adventures in Wonderland may be more than a little thin. It basically consists of Alice trying to find the “beautiful garden” that she saw through a tiny door after she fell down the rabbit hole. The simple nature of the plot seems to reinforce the almost dreamlike un-logic that seems to abound in Wonderland, though. It also provides just enough of a framework for all of Alice’s encounters with the other characters, as well as Alice’s many transformations and Carroll’s wordplay. The wordplay is probably my favorite. The book is actually littered with puns, clever turns of phrase and parodies of popular songs and poems from the time. 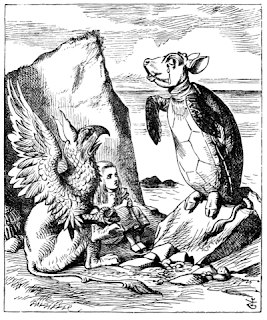 For example, the Mock Turtle’s song “The Lobster Quadrille” is a parody of the poem“The Spider and the Fly” by Mary Howitt. Okay, so we’ve established that Alice’s Adventures in Wonderland is a classic of children’s literature. However, I’d like to focus on how the story gets reinterpreted for a while. Because when it comes to reinterpretations, it seems like no story is a patch on Alice. Specifically, it brings me to the thing I was thinking out loud about when I started this. I just don’t get why so many people see darkness in Alice in Wonderland (note: I may be shortening the title more from here forward). It’s one of the recurring things that seems to get a lot of play when Alice is reinterpreted. The dark, disturbing side of the story. However, when reading the actual story, it seems like the furthest thing from the truth. I suppose the concept starts with the notion that, according to the Cheshire Cat, everyone in Wonderland is mad. Of course, the Cheshire Cat then follows it up with some flawed logic as to why he himself is mad. It basically amounts to the fact that he growls (purrs) when he’s happy and wags his tail when he’s mad unlike dogs who are not mad who do the opposite. Though, even if everyone in Wonderland is mad, there are different ways to depict madness. Heck, I even know of one group of characters besides the Wonderland crew where every character is accepted to be crazy, but it’s all played for laughs. Oh, that scwewy White Wabbit! 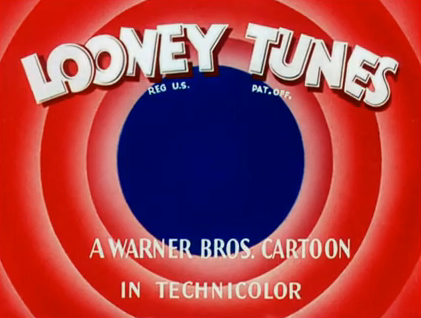 No one seems to be clamoring for a dark reinterpretation of the Looney Tunes, though. Come to think of it, Elmer Fudd was probably more likely to use a weapon on someone than the Queen of Hearts was. Yeah, that’s right. It’s the other thing that seems to make people want to claim how dark Alice’s Adventures in Wonderland is. The Queen of Hearts constantly shouting “Off with their heads!” However, there’s never any proof that she carries out her threats. In fact, as Alice leaves the croquet party, she hears the King of Hearts pardoning everyone the Queen sentenced to death. Later on the Gryphon calls the Queen “fun” and says that they never actually execute anyone. So, they’re not really dark so much as just wacky. Sure, all the characters can be a bit cranky with Alice, but that’s because everything they’re doing and saying seems logical to them, but strange to Alice who doesn’t understand. The issue is subtext. For those who’ve forgotten English 101, subtext is an undertone that can be interpreted from a book but is not explicitly stated. The dark side of Alice’s Adventures in Wonderland is pure subtext. However, when subtext gets too popular people start treating it like it’s actual text. The one subtext in Alice’s Adventures in Wonderland that I don’t mind and picked up on a bit myself is that of Alice growing up. It’s not so much a straight coming-of-age story and it’s not some sort of sexual awakening (which is something that gets read into a great number of fairy tales and classic children’s stories). It’s more the confusion of trying to figure out the adult world that children are bound to get thrust into at some point as well as making sense of all the various changes a person goes through as they move toward adulthood. It really comes out in the scene where she meets the caterpillar. He asks who she is and she says she doesn’t know because of all the changes she’s been through lately. 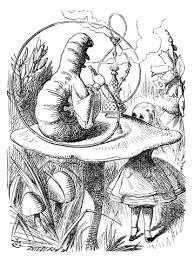 The caterpillar scoffs but Alice tells him that he’ll likely understand after he’s been turned into a chrysalis. Is there any more apt metaphor for growing up than a caterpillar turning into a butterfly? 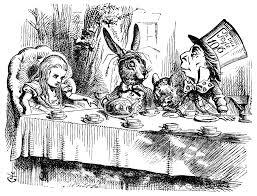 Anyway, Alice’s Adventures in Wonderland is a true classic and one that doesn’t show any signs of losing popularity even at 150 years old. Are we likely to see any versions of Wonderland in the future that do not look like Tim Burton’s dream come true? Well, there are some possibilities. A ballet version was made a few years ago that I still haven’t had the chance to see. Also, the girls from Ever After High took a trip there this year. They usually keep things pretty light. There was a comic book adaptation a few years ago by Dynamite Entertainment that essentially plays the whole thing straight. Also, dark isn’t necessarily bad. I’ve heard good things about Splintered by A.G. Howard and Alys by Kiri Callaghan (who has a very informative and entertaining YouTube show called Kiriosity, by the way). It’s just that dark takes shouldn’t be all there is. 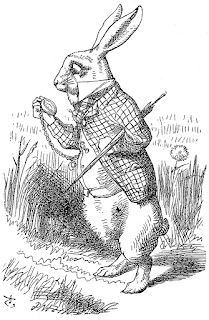 And of course, there’s always the option of returning to Lewis Carroll’s original book, which I have no doubts will continue to be published for at least another 150 years. I completely agree with you! I LOVED Alice as a child, I always found the books funny in their randomness. I think that maybe the "dark side of Alice" that people are playing around with is a result of the myth that the books were the result of Carroll's delusions while on drugs. He may have taken opium at times like many Victorians, but as you say, his clever jokes, riddles, and puzzles throughout the books indicate that he was clearly not high when he wrote the stories. Those rumours about pedophilia are grounded in cherry-picking. There is lots of evidence to support that Dodgson was heterosexual, such as romantic letters to adult women. While it is true that Alice's mother later tried to keep him from the house, this was due to her concerns that he had relations with the *governess*. As for Annotated Alice, I find their arguments to be quite unconvincing. Gardner seem to be just as obsessed with creating an image of a completely pure, asexual intellectual as Carrol-adversaries were with painting him as a vile pervert, but looking at Dodgsons private writing his vision of him is just as off. It seems such a shame that perception of the work itself gets impacted like this by rumors about the author.